Does your child have energy to burn over these winter months? Waltham Youth Wrestling Club is 2 nights a week. No experience needed. A fun athletic discipline to have. 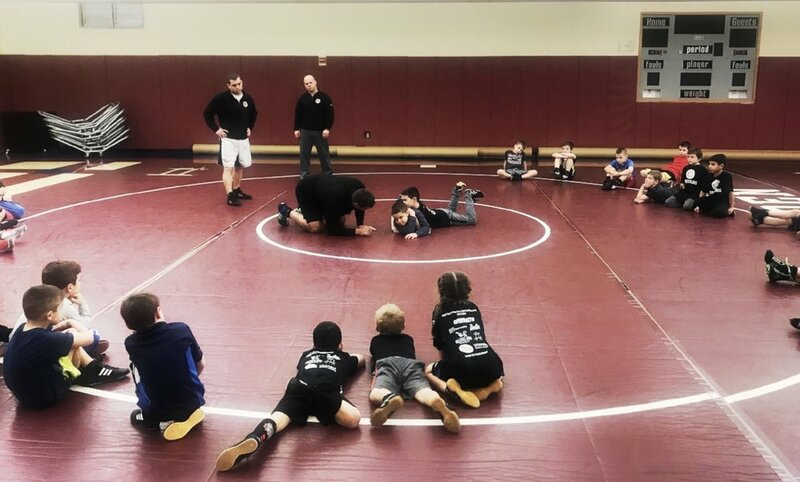 Waltham Youth Wrestling Club is a beginner youth wrestling program open to Waltham, Newton, Belmont, Watertown and beyond. Wrestling is one of the world's oldest sports that teaches a certain type of toughness and discipline. Wrestling provides wonderful developmental skills as well as sportsmanship and respect for their opponent. Some of the skills one can acquire from wrestling include: self-reliance, self-confidence and self-discipline. A wrestler will also learn to develop sportsmanship and respect for their opponent. Every wrestler will lose at least once (if not many times!) in their career and this teaches them to always be respectful and be a good sport. Losing will also teach the wrestler to always remain humble. All practices for the WYWC will be held at the ultra-modern, fully equipped wrestling room within the Fessenden school’s Pallotta Athletic Center. Please enter the campus using the Craft Street entrance. If you have any questions about our Wrestling program or are interested in being a sponsor, please send us a note!